We hope that today you have stood, walked, breathed, worked, even danced in the rain. The first thing I did after getting up was to go outside in the downpour and lower the plastic covering over our tomatoes (yes, in our climate they need protection from the rain). The air smelled so good, as though the earth, grass, and trees, had breathed a huge sigh of relief. How we take for granted the basic elements that support our lives: earth, water, fire and air. Yet too much or too little of each, and we perish. On such intricately balanced systems our lives depend. When will we humans be humbled enough by earth systems we ourselves have disrupted to give them more care and respect? 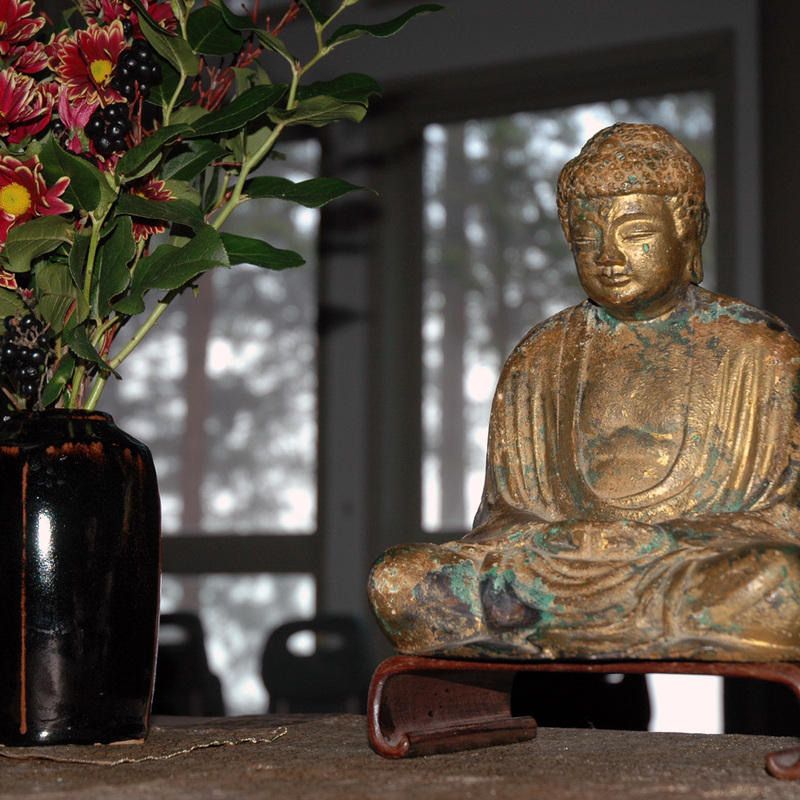 In July, 26 participants attended our first Mountains and Waters Sesshin at Sea to Sky Retreat Center. We practiced outdoors much of the time, looking directly into the nature of mountains and waters, which is our nature. Soon after that Michael and I spent two beautiful weeks hiking in the Rockies. We saw shrinking glaciers, forests recovering decades after wildfires, wildflowers past their peak but still lovely, Perseid meteors despite smoky haze, and an amazing array of mushrooms! We walked, looked, listened, and opened to the dharma of the mountains and waters. We hope you have received the wisdom and nourishment of earth-dharma over the summer, too. Now that the rains have come, and the days are growing shorter, it is time to return to the zendo and sit together in stillness, study dharma, and apply our practice in our everyday lives. Fall Practice Period is an opportunity to strengthen and intensify our practice with the support of community. We want to encourage you to read the Practice Period Guide and Schedule and consider how you might like to participate.